We are a Melbourne based digital solutions studio specialising in web, media, and interactive software. Wishbone is a digital solutions studio based in delightfully industrial Port Melbourne. Our work sits across web, media, interactive software, and branding. The Wishbone team represents a wide cross section of skills and disciplines ranging from design, software development, to marketing, and media-production. This diversity helps us create the best possible solutions for our clients. Our extended team of empanelled consultants includes industry experts whom we involve to augment the skills needed for a project. We get excited about creating great outcomes for our clients and approach each project with the same enthusiasm and energy. For us, it is very important to listen to our clients and understand their needs. We are proud of the work we create and stand by what we deliver. We have been fortunate enough to have our work showcased at national and international levels by thought leaders from the world of business. If you have an idea and want to create momentum around it, our brand incubation lab will give you the complete set of tools you need to leave your mark in the competitive landscape. We offer brand creation, logo design, web-development, online marketing, and media production. We’d love to hear from you and find the solution that’s right for you. Click here to send us a message and get the conversation started. Andrew has over three decades of experience with helping Australian businesses flourish and thrive. 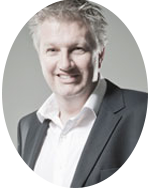 He has been recognised by giants such as Optus and Telstra as being a thought leader in the world of business. Andrew helps clients and the Wishbone team with big-picture thinking and nurturing innovation. He lives and breathes technology and barracks for the Richmond Tigers. 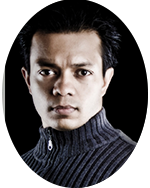 Abhijit has a PhD in search technologies from RMIT University and is an award winning photographer and film-maker. Abhijit has also written a number of best-selling books on image retouching using Adobe Photoshop and currently teaches a course on film-making at RMIT’s School of Creative Media. He oversees all design and development projects and leads all our media projects. In his abundant spare time, Abhijit trains in ITF style Taekwon-Do and CrossFit.